Ok, maybe I’m not a very good poet. I’ll stick to reading. And what better with a good book than a cup of something delicious and warm? One might proclaim themselves a “coffee person” or a “tea person”. I say: can’t we all just get along? I love you both. Both have long storied histories. Both are powerful plants, medicinally, historically, and often personally. Both have their merits and their dangers, both so bitter and alluring. Camellia sinensis vs. Coffea spp. I couldn’t decide which book to review, so I decided to do both. Both very different, but maintaining the highest respect for these two similarly loved plants in a way I have rarely seen in fiction. 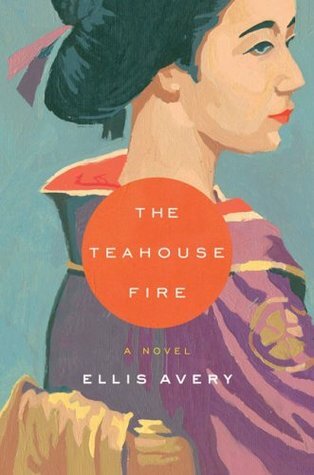 The Teahouse Fire by Ellis Avery is the captivating story of an American girl trapped and alone in Japan. It explores the nature of the Japanese tea ceremony from the perspective of both the american girl a family that has been practicing and teaching tea for centuries. It’s exotic in all the right ways, but the heroines struggles are very real and relateable; trying to find where you fit in, learning to love and to trust. 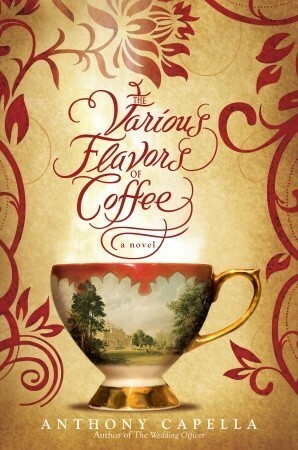 The Various Flavors of Coffee by Anthony Capella is the story of a young passionate poet in London. Struggling to find paid work, he is hired by a coffee magnate to help write a guide describing the various attributes of different coffee beans. His new line of work takes him in and out of love, and into the heart of Africa. A journey in which he finds himself along the way. So both are stories of self discovery, and of learning to love. One about a young man, one about a young woman. One takes place in London and Africa, and one in America and Japan. They are about as different, and as alike as coffee and tea themselves. Exotic, enticing, passionate and beautiful. If you are a tea lover I think you’ll really enjoy The Teahouse Fire. It is the more gentle and subtly sweet of the two. If you love coffee, try The Various Flavors of Coffee. It is bold, rich and intriguing. Or if you’re like me, you like books and beverages of all flavors and you’ll enjoy both. Different but equally as satisfying. The Book of Tea by Okakura Kakuzo – a classic, chalk full of information on Asian tea culture. Know any other wonderful coffee or tea fiction? I’d love to read more!